An interesting collection of sticks to choose from. Who would have pre-loved them and what stories could they tell. The curved old one for me ! That is a very unique collection. I think my favorite is the Tucan. I see a silver topped one that would be right up my alley, although that Toucan struck me first! Wow, those sticks look terrific, what a beautiful bunch. How cool.... 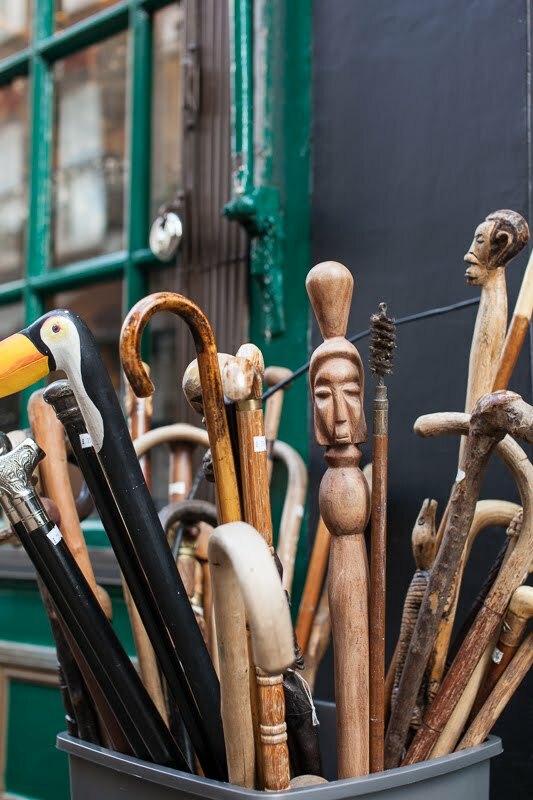 I love a good hand made walking stick. My grandfather had a cane that was hand-crafted back in 1922. We still have it! Nice photo. I want a longer one, since I am tall. Was there a silver-handled tall cane?